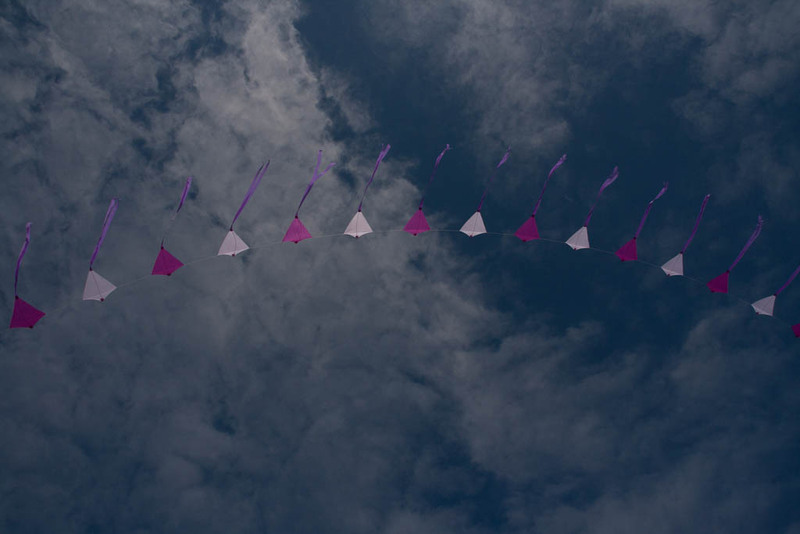 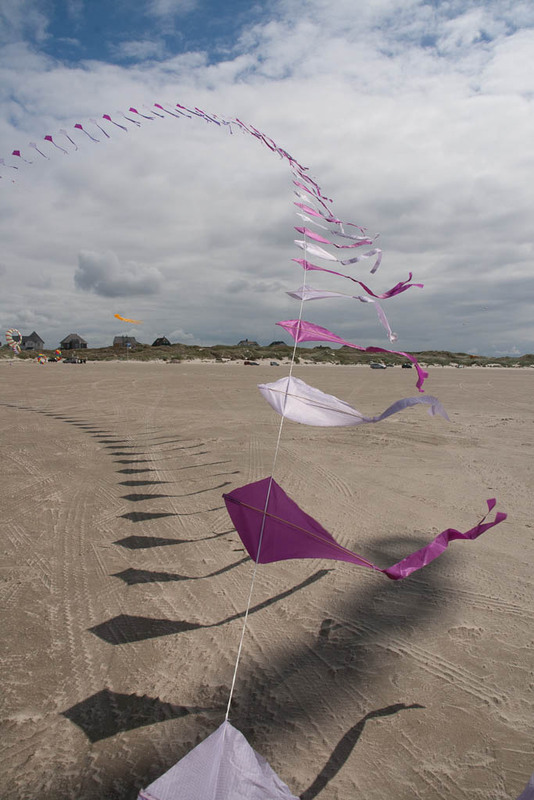 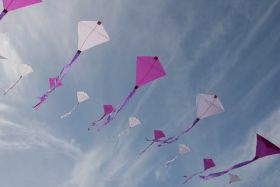 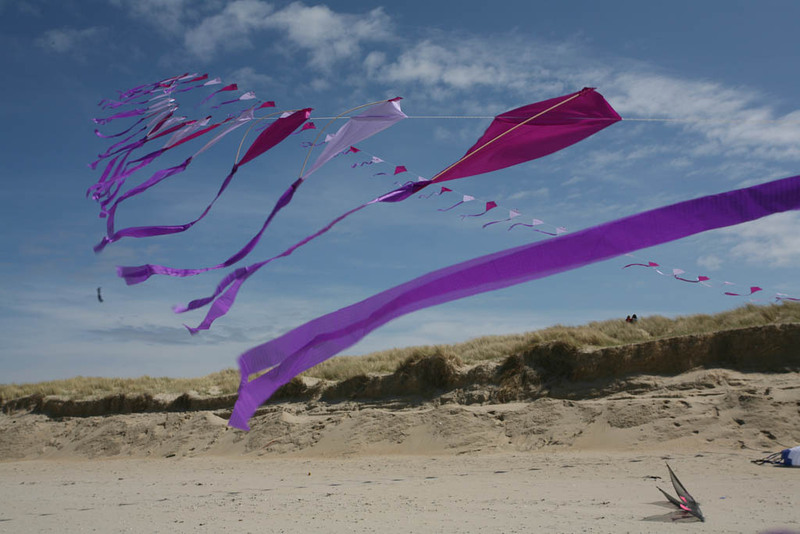 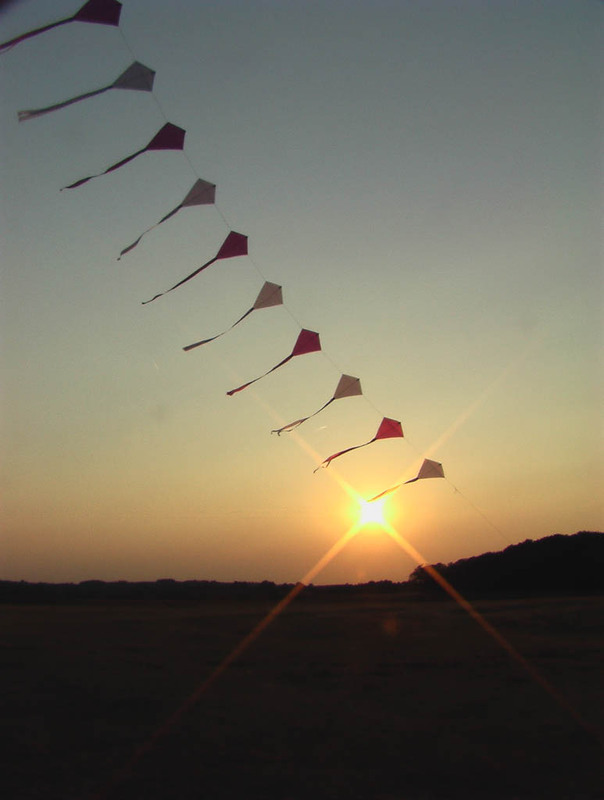 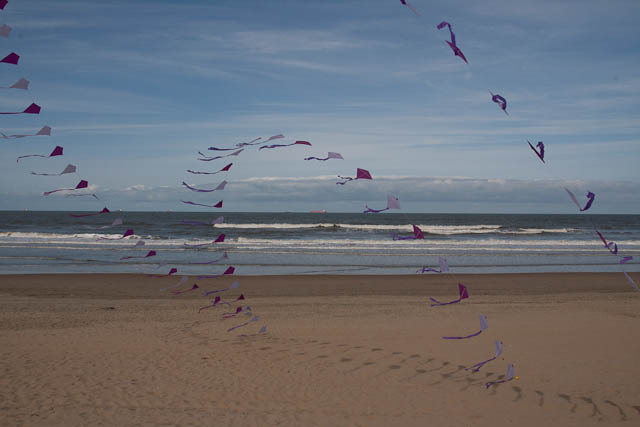 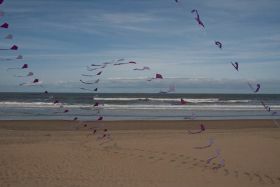 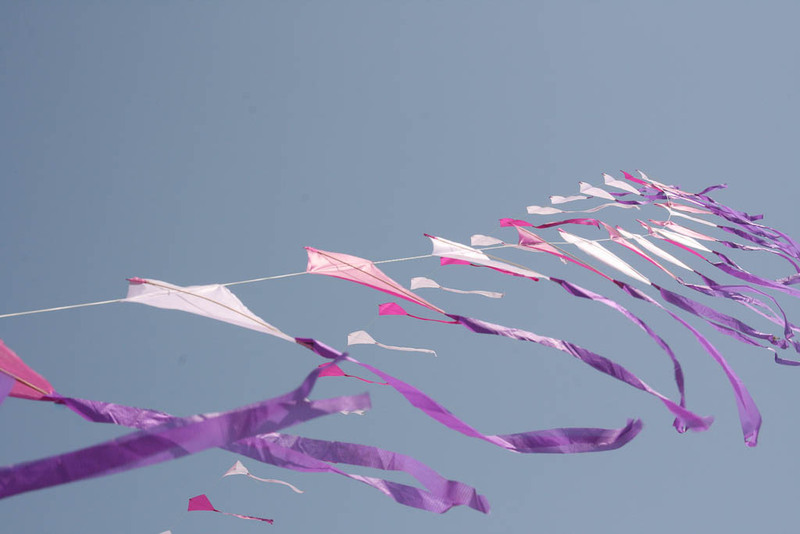 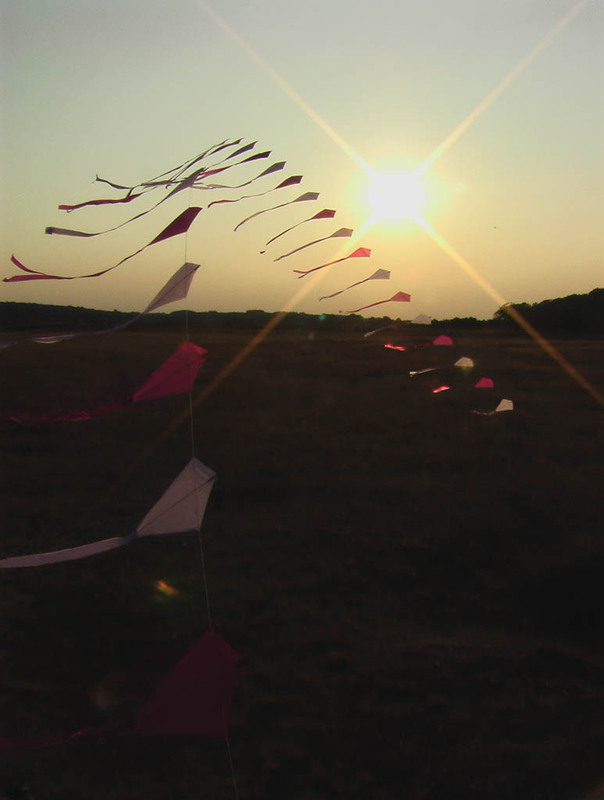 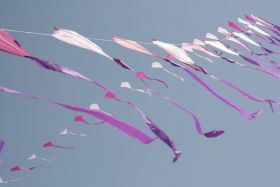 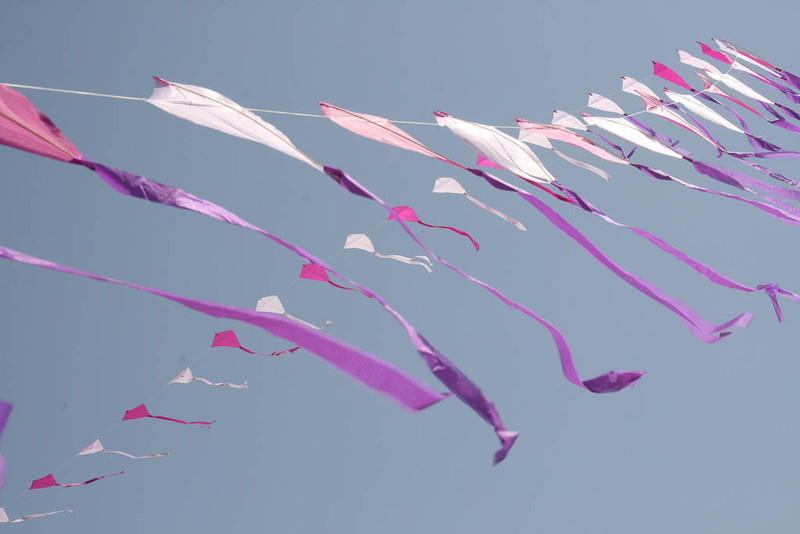 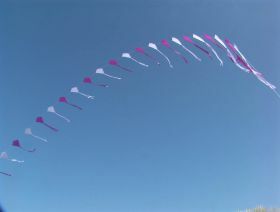 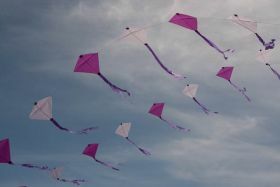 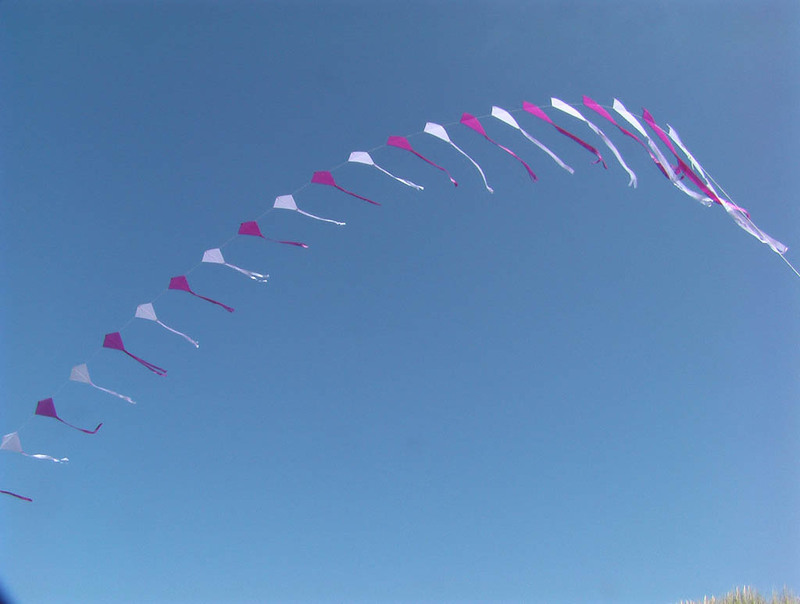 A total o 75 small Eddy kites sewn on a kite line. 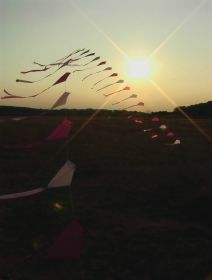 The spine is made from a bamboo roller blind from IKEA. 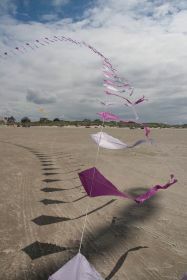 I paid less than 10 euro's for a couple of hundred spines.